Imagine if there was an outbreak of a fire in your building. Are you sure you have all the means and equipment of escape in place to support and enable a safe exit for everyone? What if a person with a disability or mobility impaired was trapped above ground level? If the lifts were out of order or deactivated, would they be able to get downstairs? What if they or their chair were too heavy to lift? These are very important considerations for those in charge of a building or its premises. 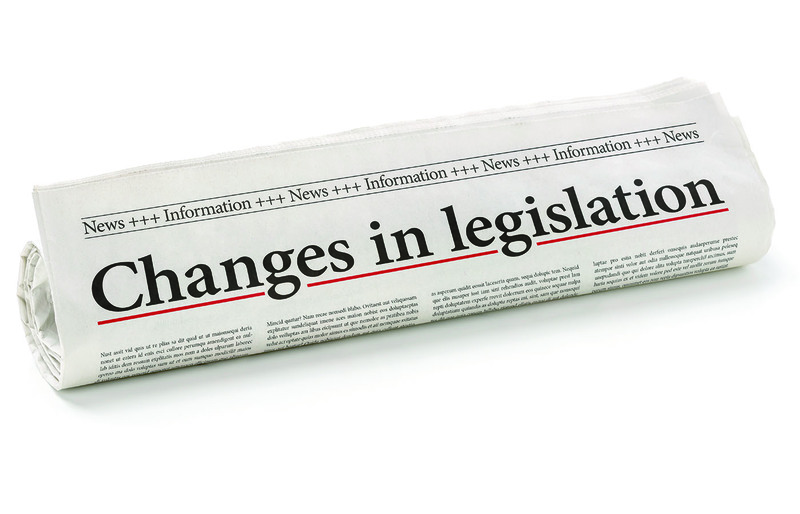 Recent legislation means that you could be liable if all methods of escape haven’t been catered for in the event of a fire. It must also be noted that the fire service are only there to carry out emergency procedures and not to provide all buildings with evacuation tools. In the event of an emergency, no-one should be left in a building, therefore if you allow people into your premises, you must be able to get them out. If this cannot be achieved then access must be restricted. General or Generic Emergency Evacuation Plans (GEEPs) are also required to assist with compliance and forward planning. Lightweight foldable chairs that can be used as transportation for non-walking persons across a flat surface like ambulance chairs, transit chairs, transport chairs, and carry chairs can be very limiting. Some of these chairs can be used up or down stairs but only with the support of two or more people. 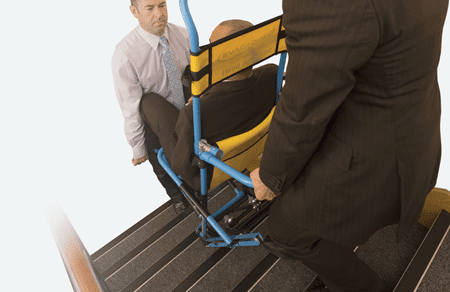 Evacuation chairs usually have two skis with rubber belts that provide a smooth friction-controlled descent when traveling down the stairs which can be used as a one-person operation. Despite the fact that most evacuation chairs are designed to be operated by one person, it is recommended that evacuation chairs should be handled by two people, one to drive and one to assist the operation eg opening and closing doors, guiding through tight spaces and navigating corners, as well as offering reassurance to the passenger. An evacuation chair is required anywhere a lift is present, even if the building is designed with an evacuation lift. This means that in the event of an emergency, lift maintenance or power failure, they can also provide alternative assistance by using an Evac+Chair. It is recommended that staff are trained to use an evacuation chair. For this reason more businesses are considering online training. However, it is highly recommended that trained personnel have hands-on, face to face training as using an evacuation chair is essential for providing confidence to operators and reassurance to users. It is important to note that merely purchasing evacuation equipment does not secure the safety of all. There must be sufficient, suitable guidelines and clear procedures must be in place, ie initial training and refresher training for designated operators. 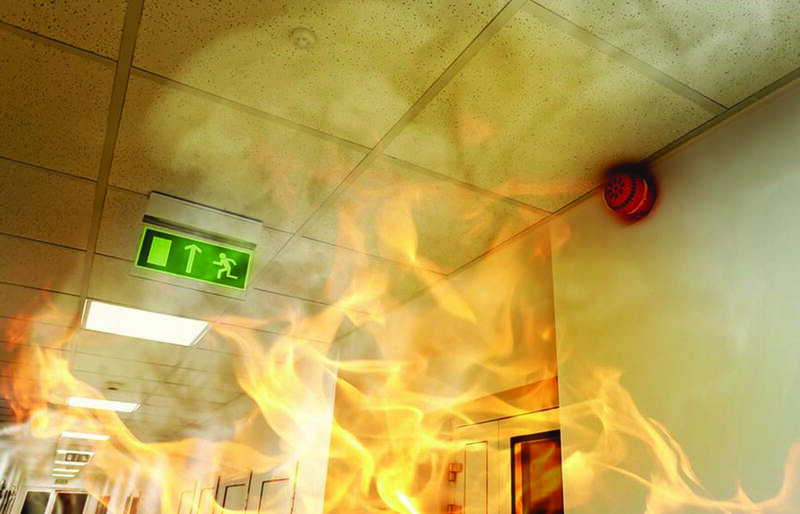 Fire drills need to be carried out every six months and a clear, concise maintenance regime in place. For more information on evacuation chairs contact Evac+Chair today.